Mobile Connection in Fernando de Noronha. Can't get away from you phone? Get to know more about Mobile Connection in Fernando de Noronha. There are a couple of places in Fernando de Noronha where you can access a phone to make international calls. The Brazil telecom operates local calls and long distance calls to all its surrounding cities and islands. If you are the person who prefers to stay in touch while travelling, then a good option would be to choose a cheap international cell phone that a company called Mobal specializes in. It is very user friendly. You can use it whenever you need and the charges are for the number of minutes you use. Nobelcom offers rechargeable phones, and are a great option especially when you are travelling to isolated places. Travelers can use this service to make international calls from any phone as well. 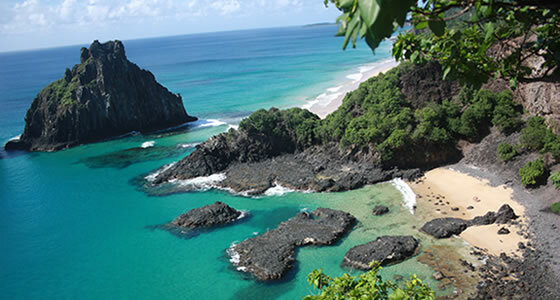 Fernando de Noronha has a number of stretches where signal problems occur frequently. However, quite a number of private players offer mobile services. Embratel, Intelig, Telefonica offer good choices and connectivity services too are very good. Vivo, Claro, Tim and Oi are also companies that offer very good mobile services to tourists. Tourists who plan international trips, especially to isolated places are recommended to buy a quad band dual SIM card phone. These are not difficult to procure. Most of the hotels in Fernando de Noronha have facilities to make international calls. High speed internet services in these hotels also enable tourists to make VoIP calls.